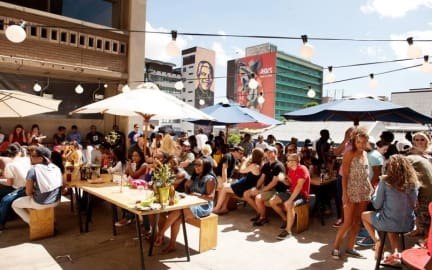 Once in Joburg i Johannesburg, Sør-Afrika: Bestill nå! 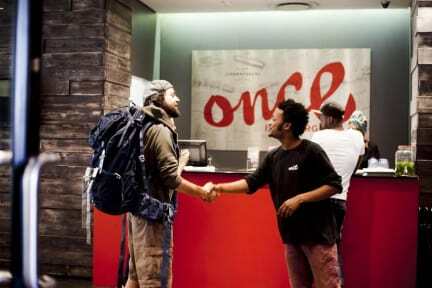 We were so happy with our stay here at Once in Joburg. Our first sleeps were spent here and we were surprised by the great atmosphere, safety and cleanness of the hostel. It reminded us of a hotel! Thank you so much for a great stay. If I ever go back to Joburg, I'll stay with you. Hostel staff even went with us for our safety to the nearby store. GREAT service. Would highly recommend it! Good hostel. Lack of atmosphere when i was there, because it was christmas. Bar closed early etc. Probably not the best area to walk at night, especially if you are travelling alone, but the area was told to be safe.